These statement trophies were designed for the Scottish Green Awards. A smooth wooden column, finished with recycled inset acrylic. These awards were also personalised with laser engraved details; engraving offers flexible personalisation for many plaques and awards. 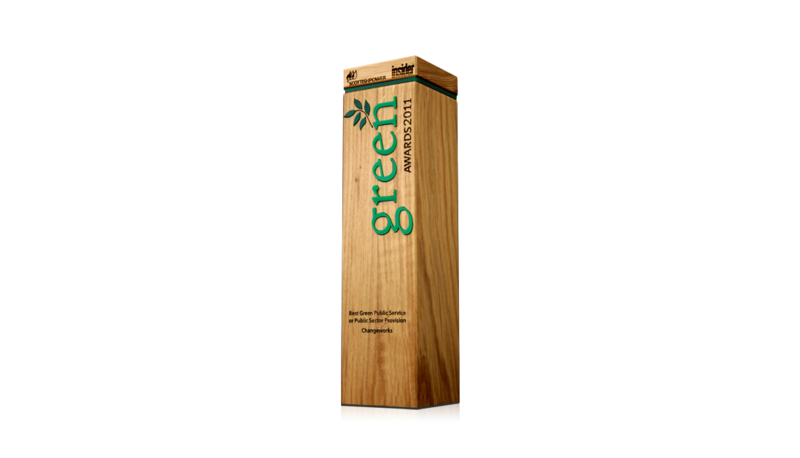 Wooden awards and trophies offer a green solution for your event. To find out how Gaudio Awards can design and create an award or plaque perfectly tailored to fit your brief, brand, and budget, take a look at our five step ordering process, and get in touch with our sales team.